Pollinators provide an ecological service that is necessary for the reproduction of nearly 75 percent of the world’s flowering plants, including more than two-thirds of the world’s crop species. Bumblebees are among the most important plant pollinators, and they are the exclusive insect pollinator of greenhouse tomatoes. Yet, declines in range and abundance of many species have been documented, and the conservation status of many more species remains unknown. At a time when the significance of pollinators has captured widespread public attention, the formation of this specialist group brings these charismatic insects into the mainstream of conservation efforts. 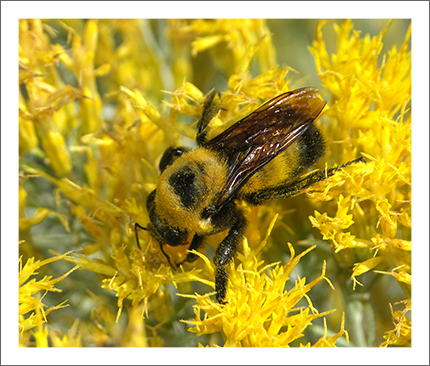 Declines in bumblebee populations have been documented in Europe, North America, South America, and Asia, caused by a variety of threats that range from habitat loss and degradation to introduced diseases and pesticide use. All of these factors require a better understanding if further declines are to be prevented. There are approximately 265 species of bumblebees (genus: Bombus) in the world. It is therefore possible and appropriate to address the conservation status of the entire group. Significant conservation attention has been given to bumblebees in the UK and in North America. However, there is now a need to address and coordinate bumblebee conservation on a global scale. The initial priorities of the new IUCN SSC Bumblebee Specialist Group are to implement a comprehensive and detailed assessment of the global status of all bumblebee species, based on the IUCN Red List criteria, as well as to promote bumblebee conservation worldwide.